It's one of those things you do everything to avoid, clients not showing up. Simple Inked has your back for this one. 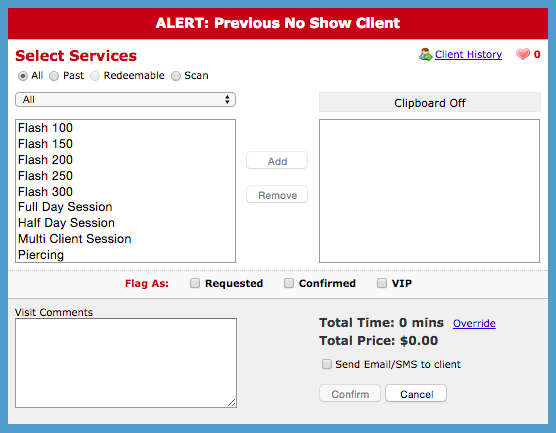 Track your No Shows, and be alerted when you are making a booking for a client who didn't show up last time they were in. 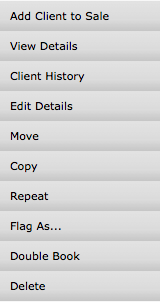 When you have a no show client, click the clients name on their appointment and in the Visit Detailswindow, go to Flag As. Tick the No Show Flag. 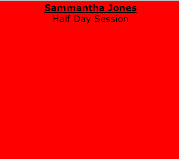 This will turn the clients appointment bright red. In the Visits section of the clients client card, NO SHOW will display next to the clients appointments, which they didn't show up for. Next time you go to make this client an appointment you will be alerted that they were a No Show last time.